It all started with an innocent birthday wish: my daughter wanted a trip to Paris for her 9th birthday. 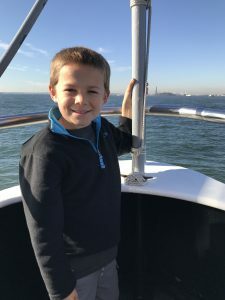 Now, I love that my career as a travel advisor allows my children to experience the world and encourages a love of travel, but that request is just a little outside my thoughts of the typical 9th birthday (what happened to Lego sets, anyways?). But you can’t blame the girl for trying! 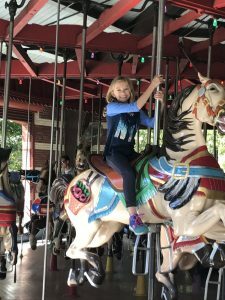 After a quick conversation explaining that not all trips require a passport or a long-haul flight and noting that we have some top-notch places to explore right here in the US, we surprised her with a new plan: a birthday celebration in the Big Apple! Next thing you know, we are watching Home Alone and singing Taylor Swift’s Welcome to New York. 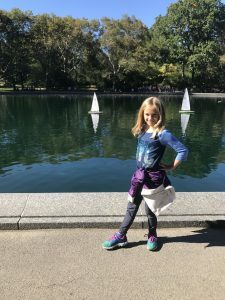 One of the best things about a family trip to New York City is that you can easily get your fill in a long weekend and it is simple to get to from just about everywhere in the US. Plus, there are plenty of things to do for families. I share some of my tips below. Anytime… honestly!!! There is always something special going on in New York. However, I feel like we hit the jackpot with our timing in mid-October. Though fall may bring rain, it also brings smaller crowds and can offer some crisp and sunny weather. We had a few warmer days and it wasn’t hard to imagine it being a little uncomfortable in the height of summer sun. There are endless options for family itineraries in New York and your schedule will depend on your family’s interests. That being said….below are a few things to consider. The Statue of Liberty and Ellis Island – A traditional site for sure, but if any of your group hasn’t been, it is a must. 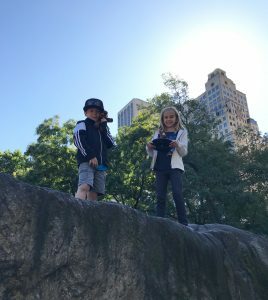 A private or small group tour gets you so much more than a handheld audio guide and is infinitely better for keeping the kids interested. 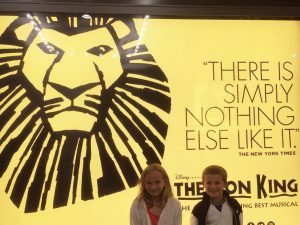 Broadway or Off-Broadway Show – Even if you don’t think you are a performing arts type of family, you can find something that will please the crowd. It doesn’t have to be a Disney musical (though Lion King is truly spectacular). Think comedy, drama, or adventure…so many options. 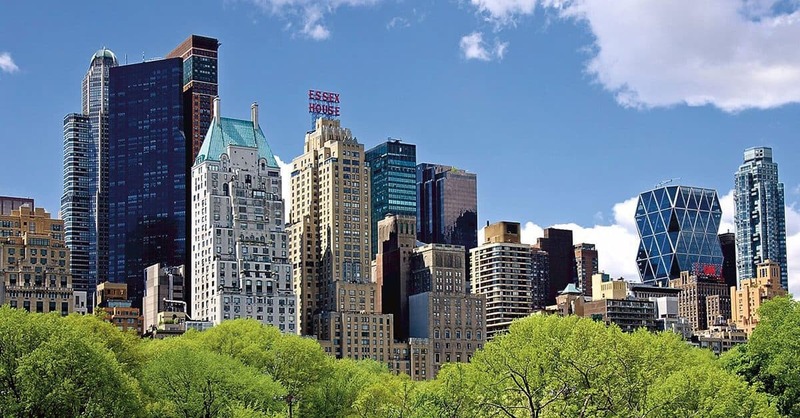 Central Park – The Park is beautiful, and it is a treat to enjoy some green space in the middle of a huge metropolis. The Central Park Conservancy has all sorts of walking maps and highlights of things to do an see in the park. Don’t be afraid to embrace a “touristy activity” like renting a remote-controlled boat or taking a carriage ride. Behind the Scenes Tour at a Broadway play or NBC Studios. You may have a budding star on your hands after this experience! Privately guided graffiti tour followed by hands-on studio time to create your own masterpiece – for the art lovers amongst us all. Culinary Experience – Even a picky child with a terribly narrow palate can enjoy an ice cream and candy tour. Have a more adventurous child? There are so many directions you can go (and flavors to try!). Go with a guide or research your own foodie tour. Set not far from everything in midtown, the Ritz is in such an idyllic position overlooking the South end of the park. Gorgeous spacious suites, connecting rooms and rooms with two doubles…you will be sure to find the best configuration to suit your family. Don’t forget to ask about feeding the horses out front waiting to pull their carriages. A true highlight of the trip for my little ones. For a more boutique, downtown experience, the Crosby Street Hotel is the way to go. Tucked on a quiet cobblestone street in bustling SoHo, this charming property is a perfect home base for exploring the city. The service is top-notch and the décor is bold and colorful – you’ll feel like you’re staying at your trendy friend’s apartment. Be sure to fuel up in the morning before you go out – the Crosby Street Hotel’s breakfast is one of the best in New York. 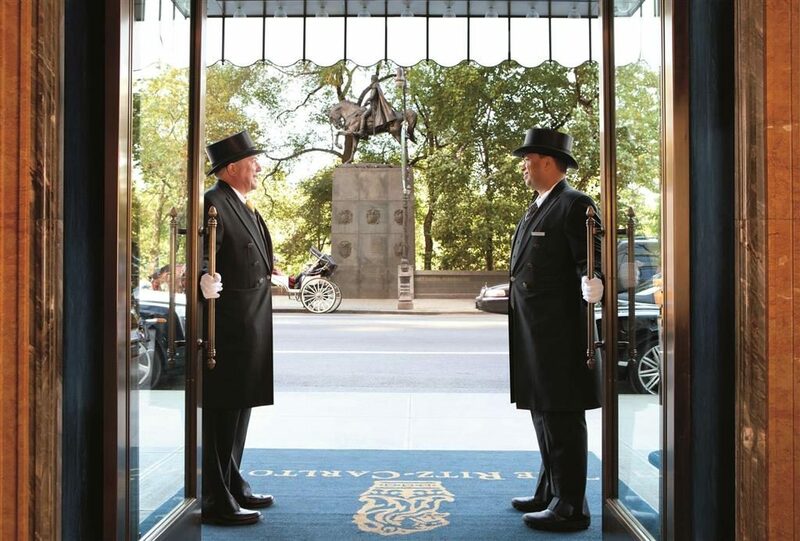 And for an uptown/downtown experience, split your time between this hotel and its sister property The Whitby (located in Midtown on 56th between 5th and 6th). Disclaimer – Any of you who know me know that I am the farthest thing from a foodie, and I have no expertise in the area of culinary arts. That being said we did have some delicious meals that I can confidently recommend if you are in the area. I am a simple human. Give me truly delicious Italian fare and an atmosphere that doesn’t make me too nervous to bring the kids, and I am a happy camper. The lobster pasta was to die for. And what kid can’t find something to eat at an Italian restaurant? Kudos to my husband for finding this one. We wanted to venture outside the standard tourist stops. We headed for French food and were not disappointed. The kids even found happiness without a kid’s menu. Clean and simple ingredients, great vibe and not a tourist (other than us) in sight. Only bring you children when they are ready to handle some major walking. Though public transport is efficient and a novelty for many kiddos, New York is a walking city. You won’t be able to avoid getting some serious steps in, but you’ll also get to see a lot more when you’re on foot! Consider at least one private guided activity, preferably early on in your trip. This is a fantastic way to learn more about your surroundings AND gain local knowledge, like where to grab the best slice, take in a great street performance and garner the best views. Second, third or fourth trip? Consider staying further south and exploring some of the amazing neighborhoods like Tribeca, Greenwich Village, or SoHo (at the Crosby Street Hotel, mentioned above!). Feeling really adventurous? Pop over to Brooklyn and branch out from the typical NYC experience. So remember: creating lasting memories and celebrating the gift of travel with your family doesn’t always require exhausting travel, a week or more out of town, and a big investment. Whether you want to explore New York, visit National Parks, or go on a fun trip to Paris, contact me to plan your next trip!